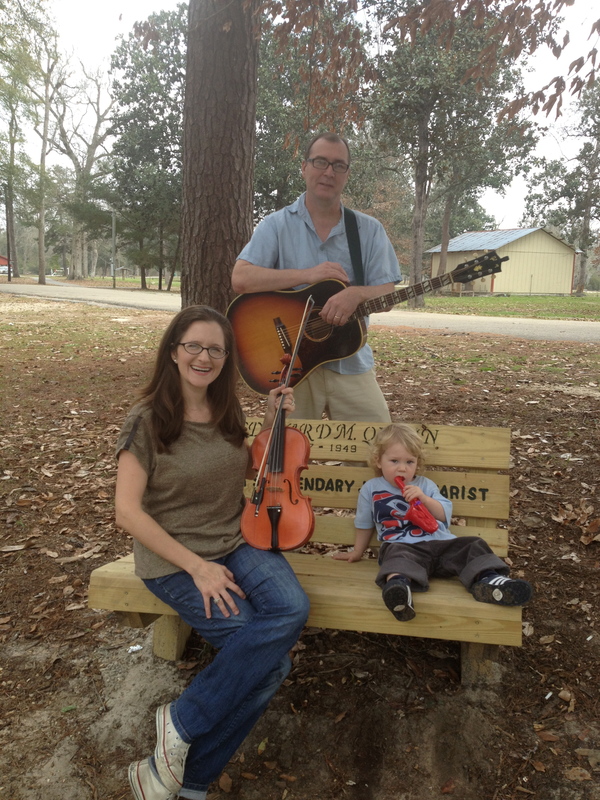 Ray family posing on Snoozer’s bench. Above is a photo of my family posing on Snoozer’s bench. Little Louis is a budding musician. He can’t decide between red plastic sax, guitar or drums. Below is a photo of Foots. 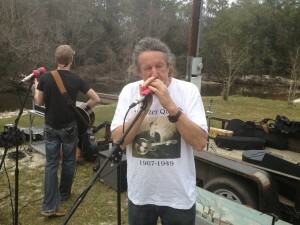 Foots Quinn playing some train songs. When I met with Claude Blanchard’s descendants, of course, I asked, “Did your father ever make any recordings?”They shook their heads no… but then, a little light went off. My heart stopped for a second. I don’t have to tell readers of this blog what a rare opportunity this is. A few days later, I met Claudia at her work to pick up the recording. 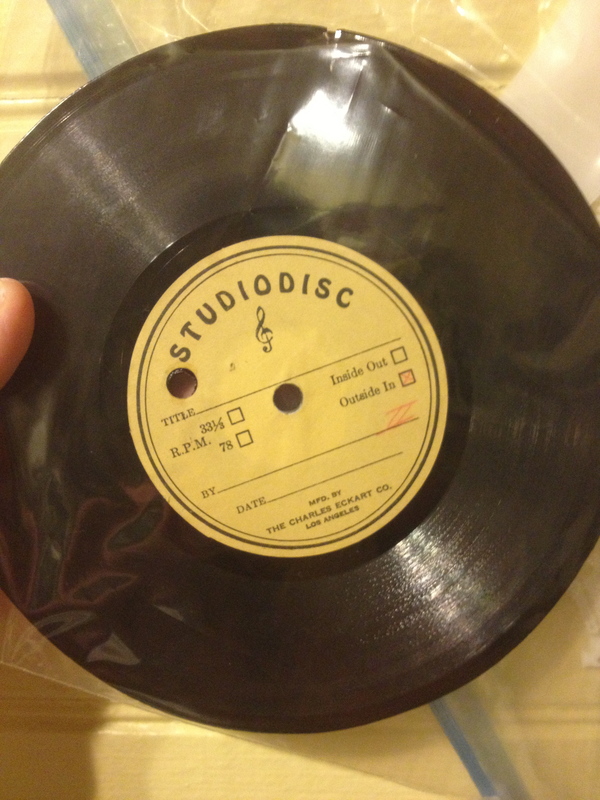 It wasn’t what I expected… I guess I was expecting a 78, or an acetate disc, or wax, or something big and heavy. But what she gave me (inside a Ziplock bag) was small, like a 45 — only without the big hole — and quite lightweight. It has a serious gouge on the outermost band (like a sawed cutout), and what look like borderline cracks. But moving inward toward the center it’s quite solid, and the grooves look to be in very good condition. There is nothing to indicate what band or what songs are on the record, or when it was made. The label is stamped, “Mfd. by the Charles Eckardt Co. Los Angeles.” In red ink, someone has handwritten “I” on one side, and “II” on the other, and checked a little box to indicate the record should be played from the outside in. 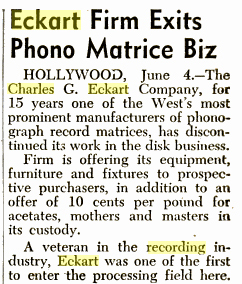 It seems like Eckart was in the business for 15 years — from about 1940-1955. So this disc was made sometime in those years. But the recordings on it could potentially be older. 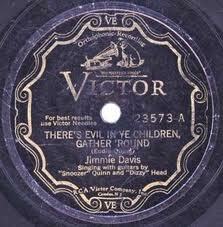 I’m working on the next step… how to recover the information on this record.